Capital Crossroads determined that the District would benefit from a Downtown wayfinding program of improved signage in and near the District that directs pedestrian and vehicular traffic to and from dining, recreational, and cultural attractions, special districts, and other sites of interest. The wayfinding program included the design and installation of pedestrian map kiosks, pedestrian-oriented directional signage, parking and parking rate signs, and sidewalk-mounted vehicular directional signs. Working with CCSID and their sign designers and fabricators, Trans Associates prepared plans for the installation of all signs in the system, working in tandem with the CCSID and their sign designer and fabricator. 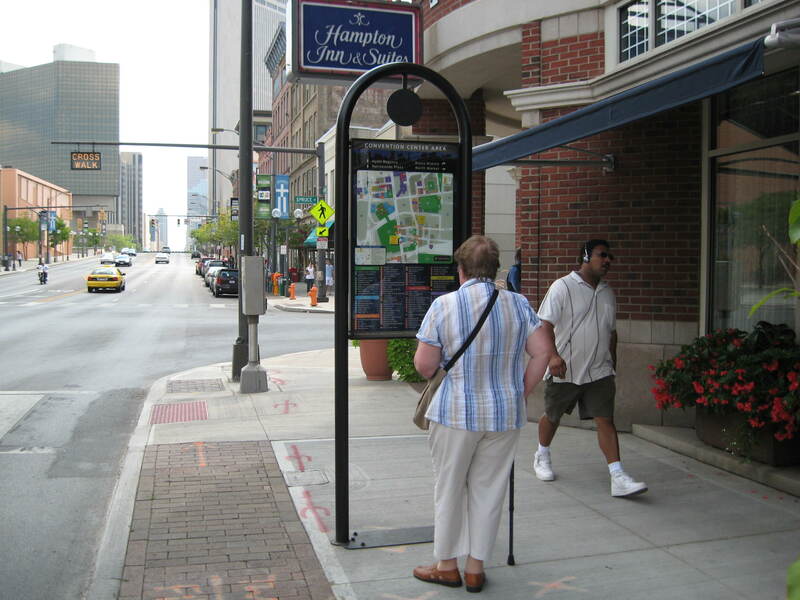 This included gaining permits from the City of Columbus for the installation of about 55 pedestrian kiosks and 85 vehicular directional signs.